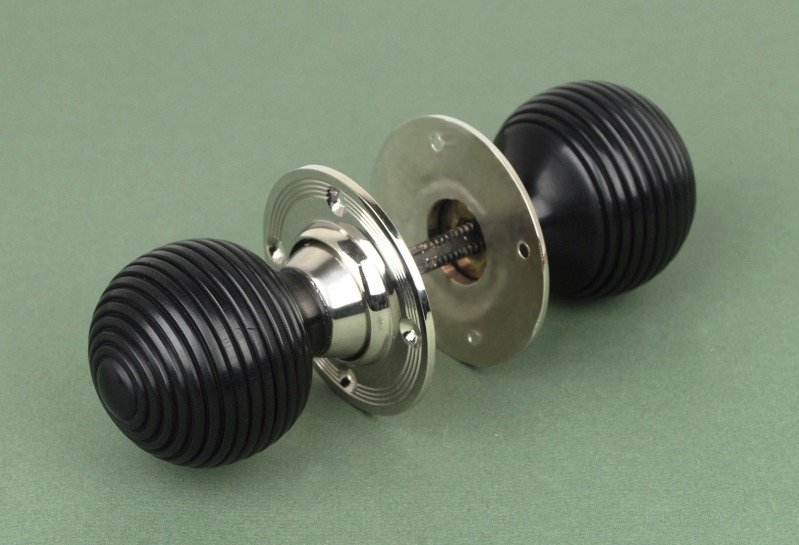 Our solid ebony beehive door knobs are superbly crafted door knobs in solid ebony – a wood long regarded as one of the finest and most decorative hardwoods, which polishes to a superb lustrous finish and is excellent for achieving fine detail when turned. Supplied complete with Nickel rose plates, spindle and screws. Rim or mortice fixing.